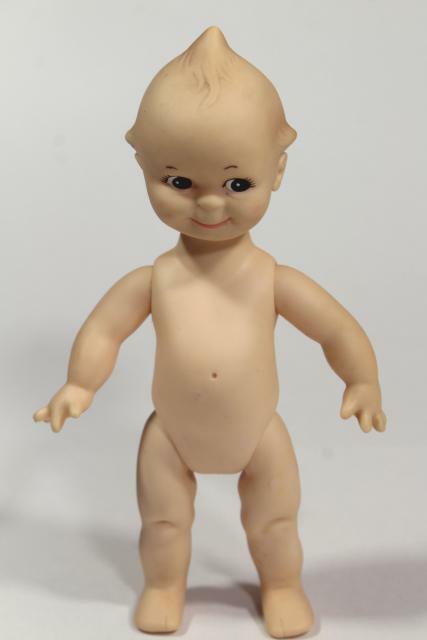 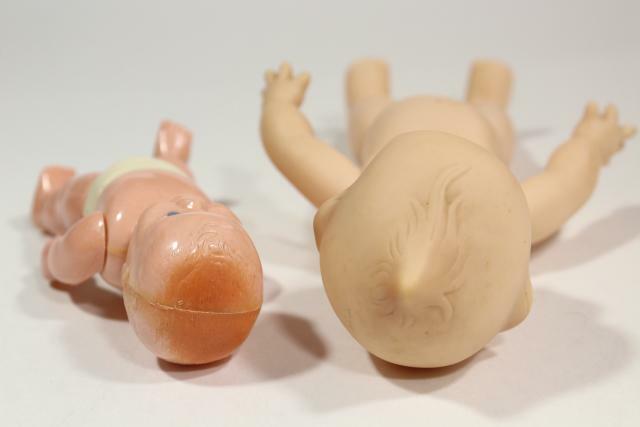 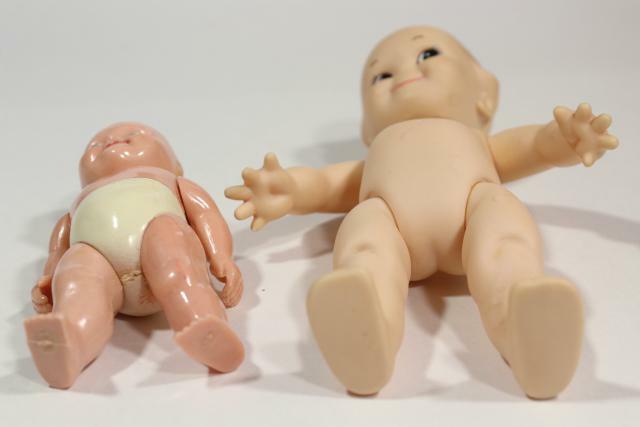 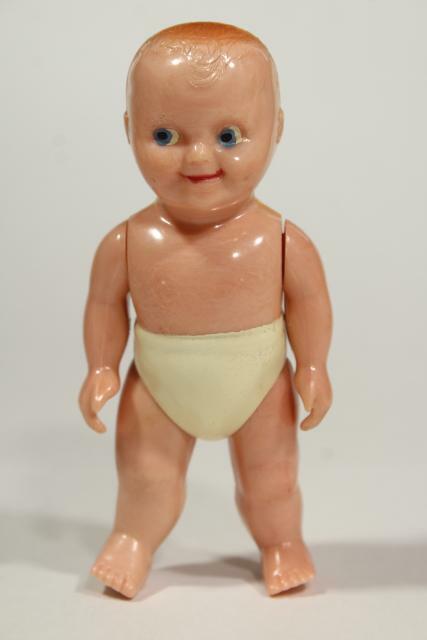 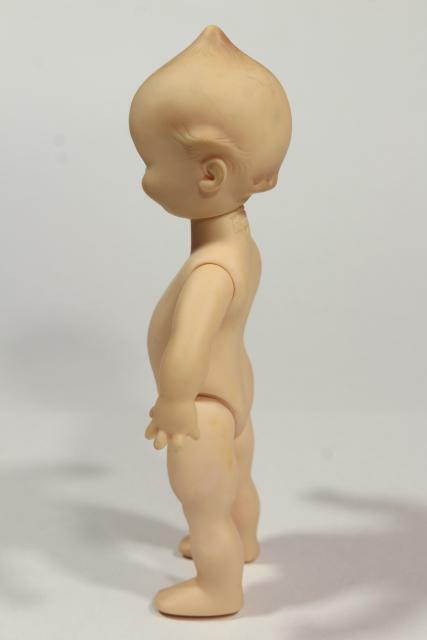 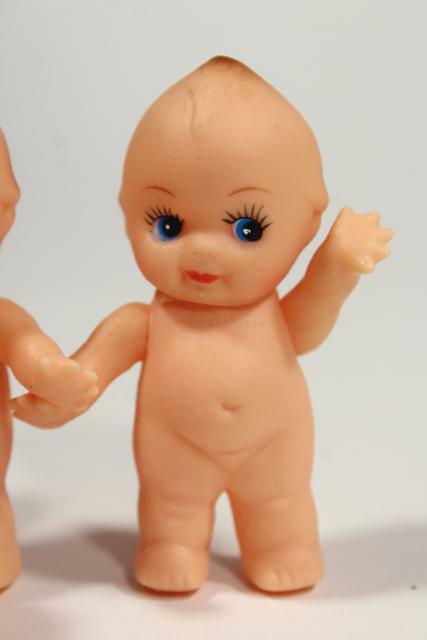 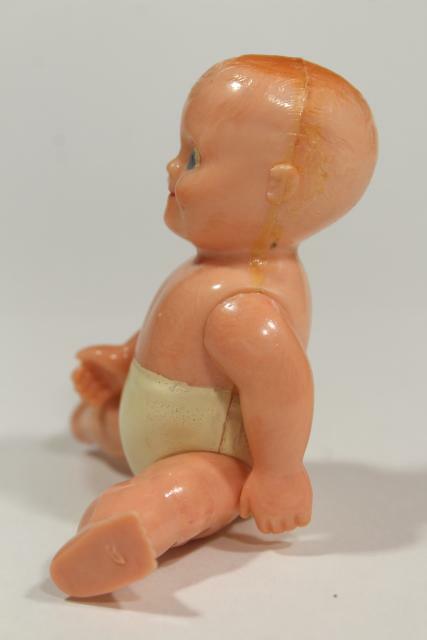 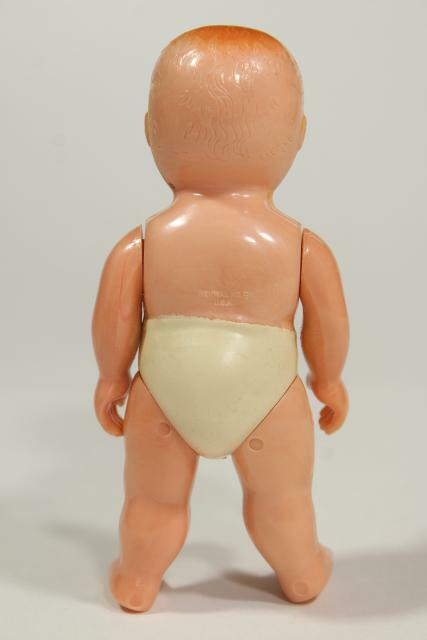 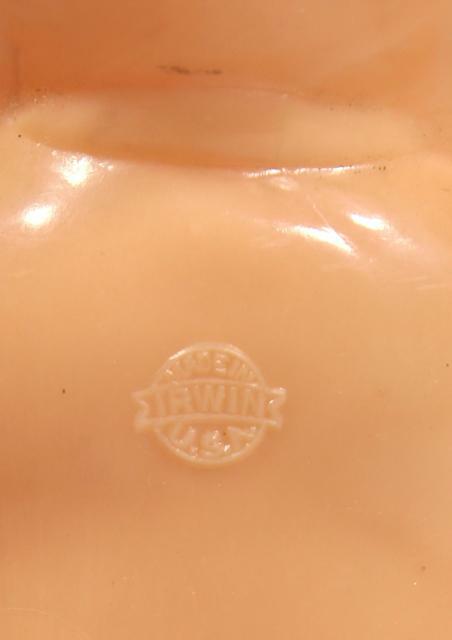 Lot of vintage baby dolls and kewpies... the kewpies are all soft rubbery (vinyl? 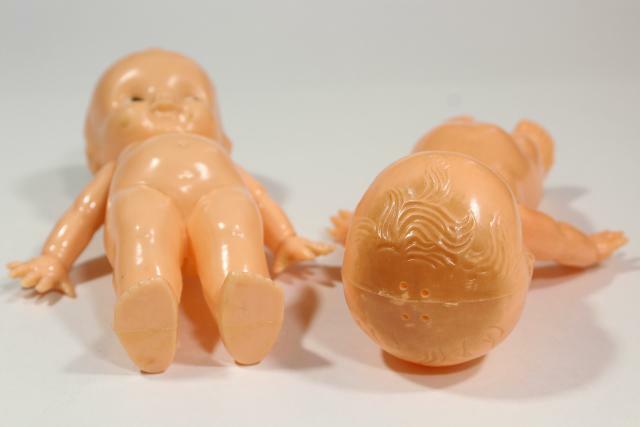 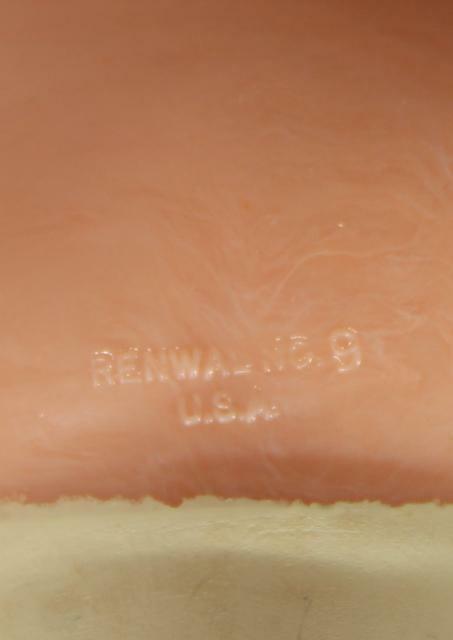 ), and the three babies (the twins, and the baby with the painted on diaper) are all hard plastic. 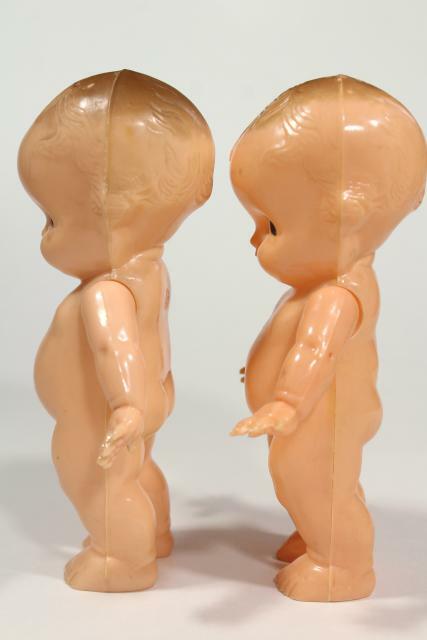 The tallest is the big Rose Art kewpie, about 8" tall. 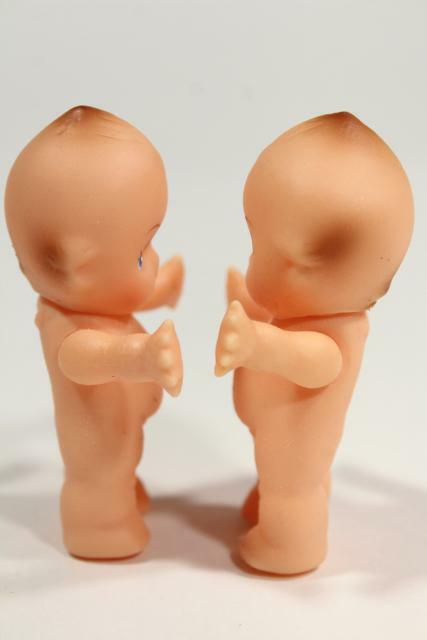 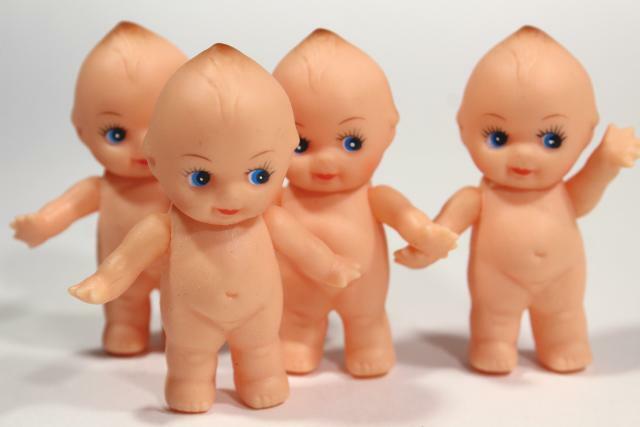 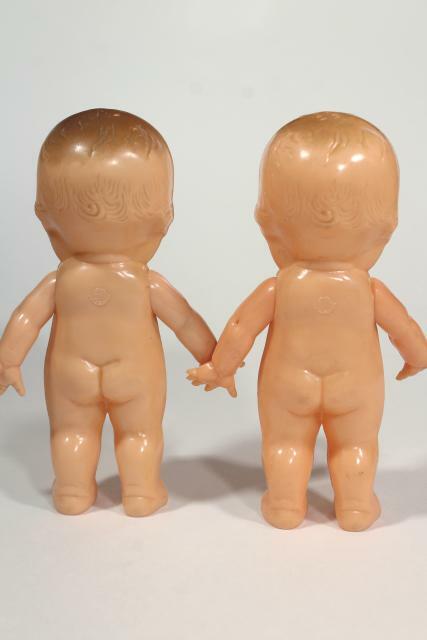 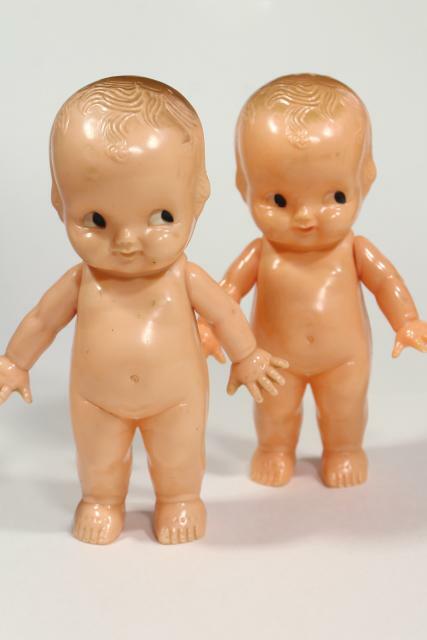 The shortest are the matching kewpie quadruplets, about 3" tall. 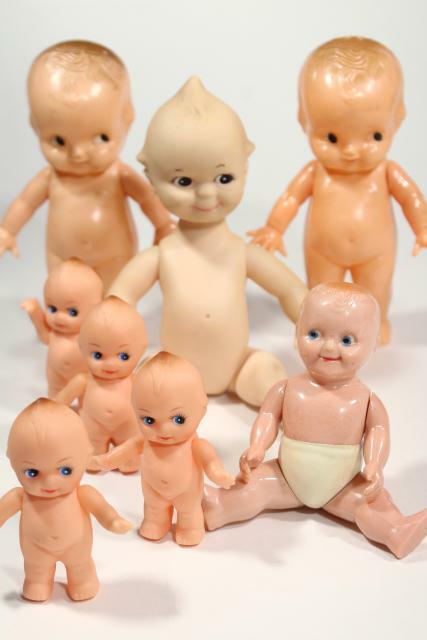 All eight of these dolls have been played with, but they look pretty good overall. 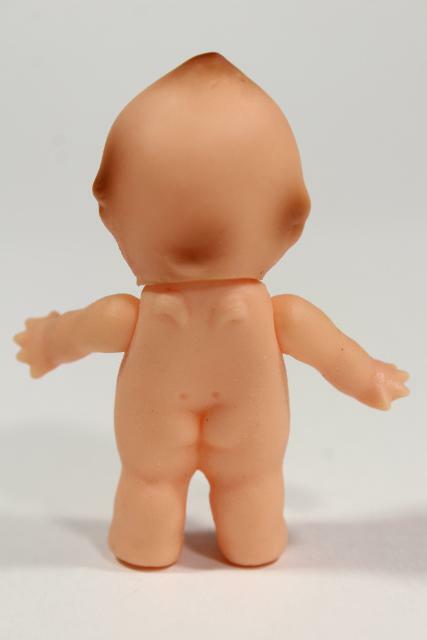 Fun to dress in tiny clothes and costumes!